What are the ‘ways of thinking and practicing’ characteristic of particular disciplines? How can students be supported in becoming participants of particular disciplinary discourse communities? 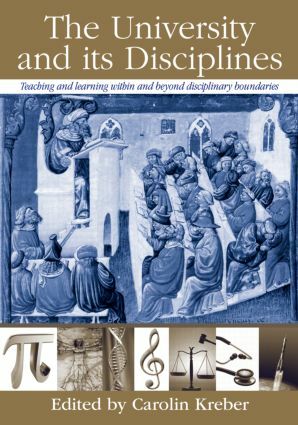 Can the diversity in teaching, learning and assessment practices that we observe across departments be attributed exclusively to disciplinary structure? To what extent do the disciplines prepare students for the complexities and uncertainties that characterize their later professional, civic and personal lives? Written for university teachers, educational developers as well as new and experienced researchers of Higher Education, this highly-anticipated first edition offers innovative perspectives from leading Canadian, US and UK scholars on how academic learning within particular disciplines can help students acquire the skills, abilities and dispositions they need to succeed academically and also post graduation. (reactive) Academic Disciplines: Homes or Barricades? (reactive) Exploring Disciplinarity in Academic Development: Do “Ways of Thinking and Practicing” Help Faculty to Think about Learning and Teaching?